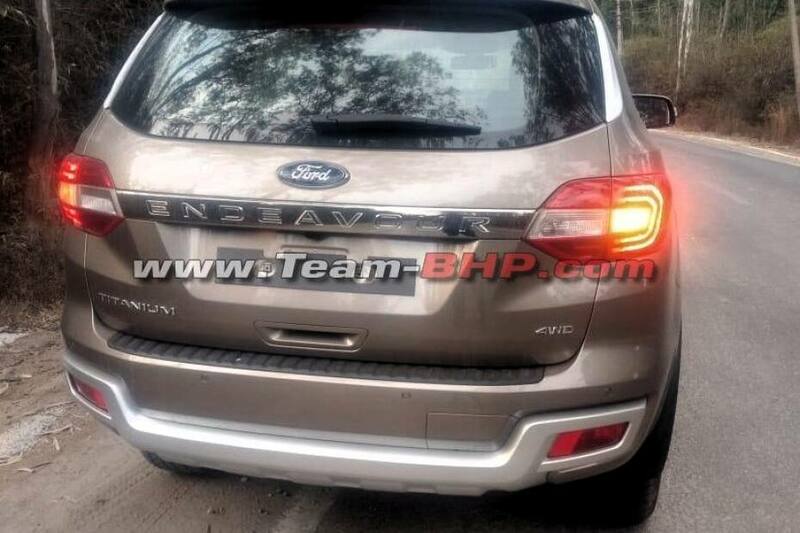 Update: The 2019 Endeavour has been launched and the prices start from Rs 28.19 lakh (ex-showroom). We have also driven the SUV and you check our first drive review here. Will launch on 22 February 2019. 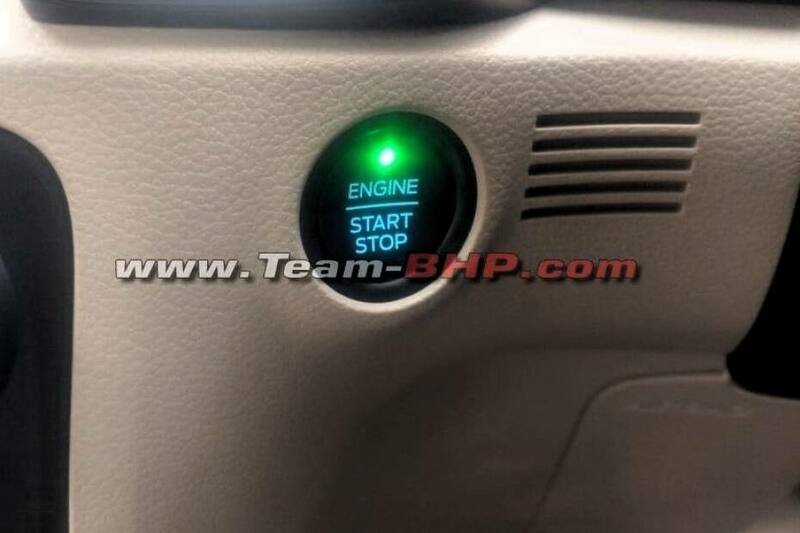 Will also get new features like push button start. Will continue to get same powertrain options as before. Ford is all set to launch the 2019 Endeavor in India on 22 Feb 2019. 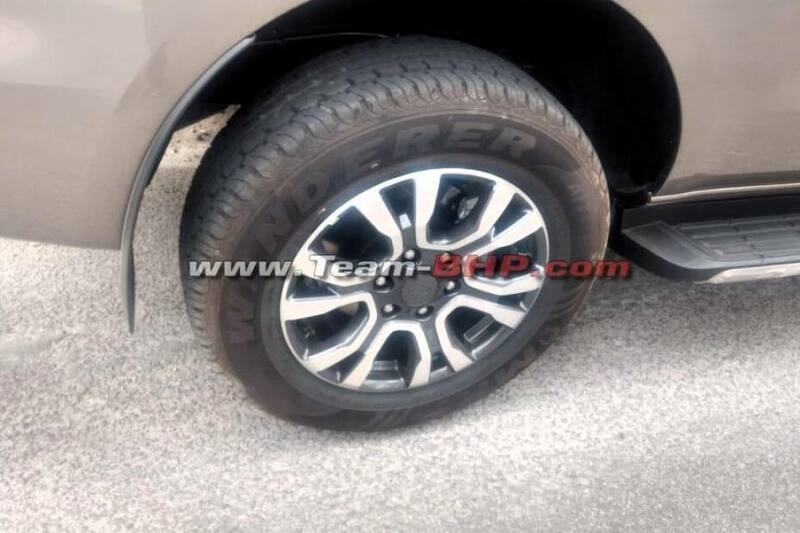 And just a few days ahead of the launch, the updated SUV has been spied at a Ford dealership revealing its exterior and interior. The India-spec Endeavour facelift looks identical to the international-spec model which debuted back in May 2018. The updated Endeavour gets a revised front grille, updated front and rear bumpers and new 18-inch alloys. 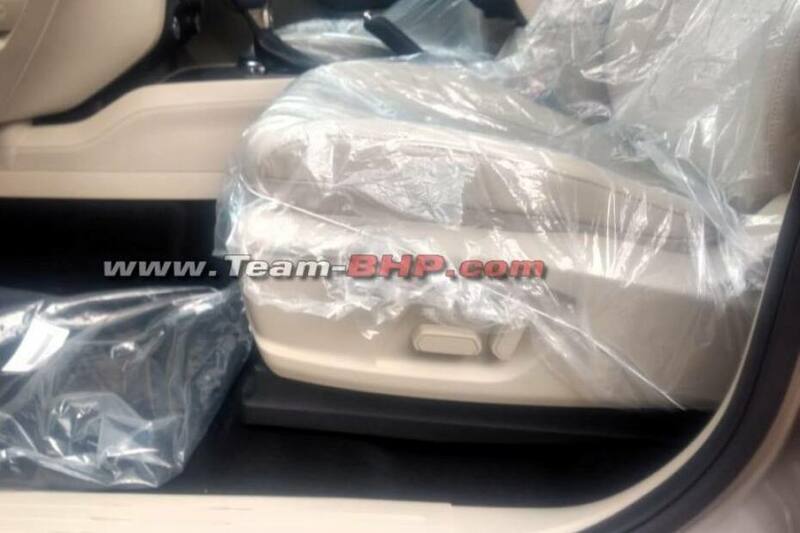 Inside, it looks similar to the outgoing model; however, it gets beige black upholstery instead of the beige brown upholstery on the outgoing model. The new Endeavor will also pack some additional features including push button start, powered co-driver seat and a new Ford SYNC3 touchscreen infotainment system. Other features are likely to remain identical to the outgoing model including a dual-zone AC, semi-auto parallel parking assist, seven airbags and a panoramic sunroof. Mechanically, the 2019 Endeavour is expected to remain unchanged. It will continue to be offered with the 3.2-litre and 2.2-litre diesel engines. While the 2.2-litre unit produces 160PS of power and 385Nm of peak torque, the 3.2-litre unit churns out 200PS and 470Nm. Both engines are mated to a 6-speed automatic transmission. Currently, only the 3.2-litre variant gets four-wheel-drive. Ford could offer its new 2.0-litre EcoBlue diesel engine in India as well. However, we think the carmaker might reserve this engine until BSVI norms kick in from 1 April 2020. The Thai-spec Endeavour equipped with the EcoBlue engine is offered in two states of tune - 182PS/420Nm and 215PS/500Nm - and comes mated to a 10-speed automatic gearbox. 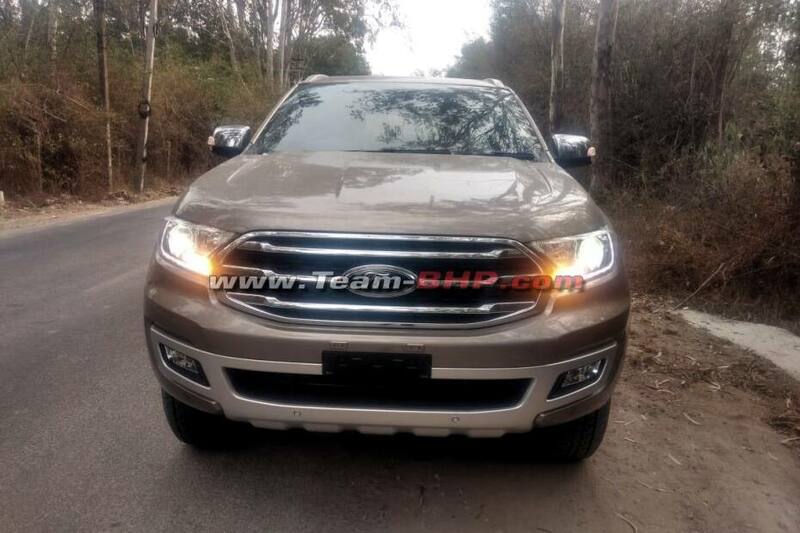 The 2019 Ford Endeavour is expected to be priced at par with the outgoing model, which is priced from Rs 26.82 lakh to 33.31 lakh (ex-showroom Delhi). It will renew its rivalry against the likes of the Toyota Fortuner, Mahindra Alturas G4 and the Isuzu mu-X. It will also rival some monocoque SUVs like the Skoda Kodiaq, Honda CR-V and VW Tiguan.